TN is in fact an AHK script, but as it has a graphical interface, we include it also here. This script works very well in a complementary manner with the AHK PartyBetPot and PrimaBetPot scripts. TN is divided in several aspects. Firstly, you can assign keyboard keys to different actions. For example, the "Check-call" button is activated by pressing "9". The "fold to any bet" option is activated by pressing "Win + F". You can assign the keys you want to each action. As its name suggests, TN, also allows navigation from table to table. Instead take your mouse and manually move the active table to the table where you have to make a decision, you can press a button. This button will automatically open the first table in the 'tail'. Or, you can configure it to navigate from table to table with the arrows on the keyboard in order to not to use the mouse at all. In addition to these functions, TN also allows you to preset amounts of implementation. For example, you can bet 100% of the pot or $ 4 using your keyboard. 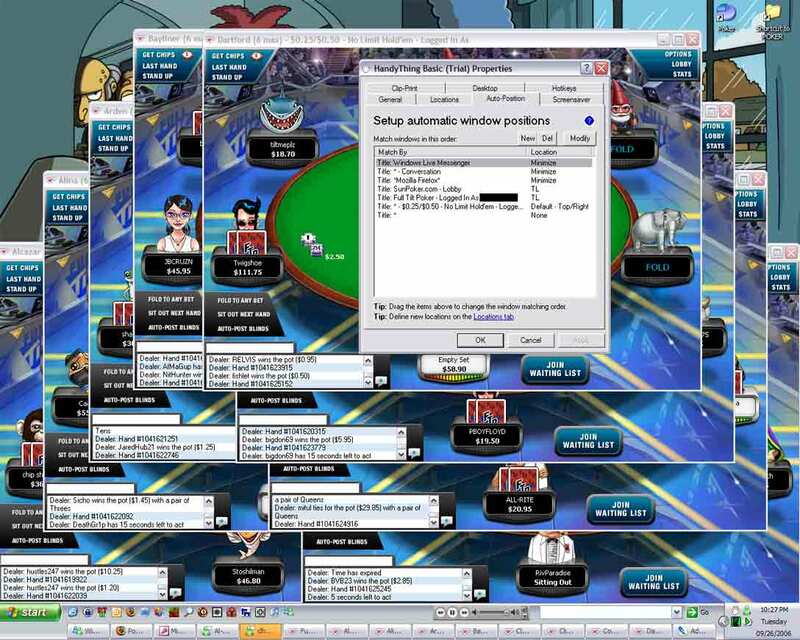 No need to enter the amount manually or use the 'slider' of the poker sites. TN allows you to configure a maximum number of updates. If you want more options, use PartyBetPot or PrimaBetPot.